Some sales are just not worth it. I hate to break it to you, but unless you consider yourself a fan of Tory Burch clothing outside of the sale world, I wouldn’t really venture that deep into the fashion district. The line for this sale was almost an entire city block long. A long, bustling, city block full of deliverymen and construction workers, no lady’s favorite situation. 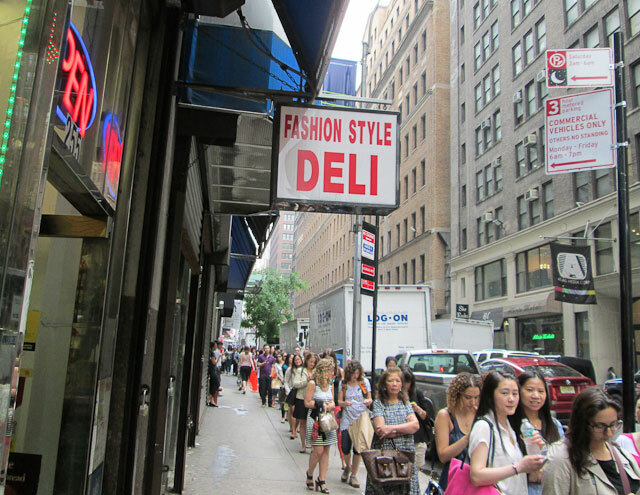 Located on 36th street between 7th and 8th avenues, this is not a sleepy part of town. 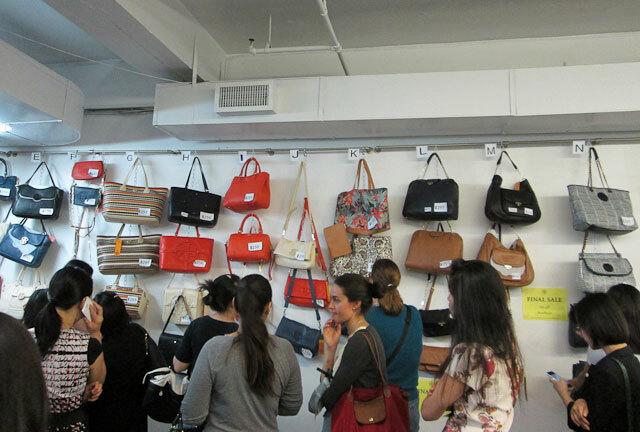 One entering the sale, the super long checkout line was reminiscent of a check cashing store, with a large wall full of handbag samples priced from $98-$250. Shopping the handbag selection was as easy as picking a number for the cashier. Hopefully they still had the style you were after by the time you make it to the pay window. 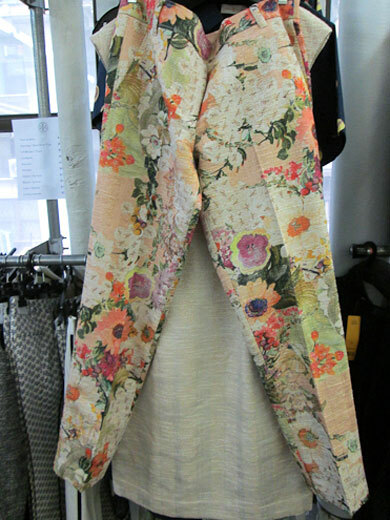 We saw many colors of handbags and many styles and sizes, and it was a very Coach-esque selection. Past the scary line is the clothing selection, large, but not as cheap as we had thought it would be. When you see made in china tags along with price tags of over $100, something is amiss. 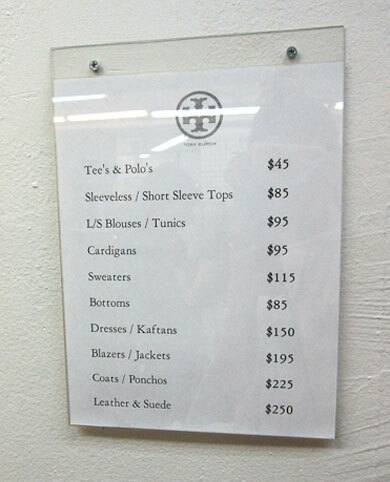 Fast fashion Tory Burch is not, but prices in the third digit should also not be made in anonymous factories. Navy blue was the predominant color of this sale, and though there was the odd floral, sheer, or beige piece, the overwhelming majority of pieces was navy blue. Navy blue pants, dresses, blouses all grouped by size. If this is your color, maybe this is your sale. Some people even brought their young children to this sale, which is really a faux pas. First of all, children kept waiting in lines are restless and bored, and we don’t blame them. Second of all, people do not always supervise their children properly in these settings, and adding to the chaos is simply rude in our opinion. Children are beautiful, and meant to have fun, the joy we get from scoring discount clothing most likely does not extend to them. The shoe area was promising in it’s selection until we didn’t see any of the so oft knocked off ballet flats and loafers. I’m sure that was a bit of a let down for shoppers. Hate to say it, but this one might just not be worth the effort. If you had your heart set on this sale, perhaps pass by and go up if there isn’t a line, since you will be waiting every step of the way, you might as well save time where possible. You know, reading your review makes me really angry. 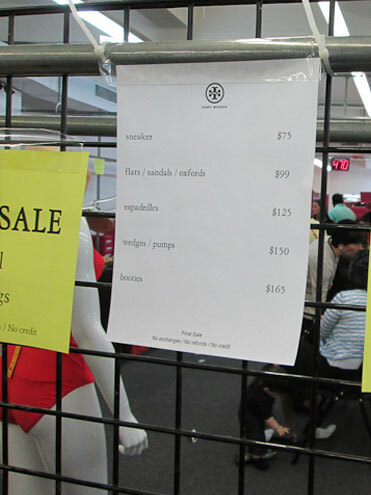 First of all, you dare to talk about people that brought their children to this sample sale. I did. I never anticipated the line to be that long and my daughter never misbehaved or bothered anyone. Your snotty paragraph makes me think this comment comes from someone that has no children or lives off a trust fund where you have a baby sitter at your every call. In addition, I thought it was illegal to have someone’s photo without their permission. It simply grinds my gears when these bloggers think they are so high into their head that they step back snap pictures of people’s faces and post them on their blogs. You should at least consider people’s privacy: take pictures of people’s backs. Goodness! This article is made in such a bad taste!